Does Technology Improve Learning? No! From the very beginning, the Maine Learning Technology Initiative received a lot of attention across the country and around the world. One of the most frequently asked questions was and is, “Do laptops improve learning?” Even when Auburn published their research on 1to1 iPads in kindergarten, we were asked if it were the iPads or if it were something else. Only good teachers and teaching improve learning. But technology is an amazing tool for teachers to leverage for their students’ learning. Educators are finding that technology, especially when students have access to it anywhere/anytime, is a powerful tool that allows for improved teaching and learning. This isn’t a contridiction, it is simply placing credit where credit is due. A classroom full of laptops or iPads which aren’t being used, or aren’t being used well, will have no benefit to students and their learning. Only when teachers are using them well does learning improve. Handing technology to students is insufficient for improving learning. In fact, the research on technology initiatives indicates that when schools put too much focus on the technology (ie treating their initiative like a “tech buy”) there is no significant benefit to achievement. And even if laptops and iPads are a relatively new phenomenon, the importance of distinguishing between a focus on technology and a focus on learning, is not. Analyzing over 700 studies, Schacter concluded in 1995 that technology initiatives have to focus on teaching and learning, not the technology, in order to be successful: “One of the enduring difficulties about technology and education is that a lot of people think about the technology first and the education later” (p. 11). Studies that show a negative impact of technology often indicate that the initiatives themselves focused on hardware and software, or teachers taught about the technology instead of using the technology to enhance learning experiences. In fact, the technology matters a lot. You have to remember that many students are doing things with their laptops that aren’t convenient/possible without the laptop. Sure you can write with pen and paper, but research shows that the quality and quantity of writing improves because of the perceived ease of revision and editing. Sure you can look up extra facts in the library after class, if you want to go to all that trouble. But it’s a lot more likely to happen when a student can just flip open the laptop, open the browser, and do a search. The technology extends our capabilities as teachers and as the engineers of students’ learning experiences. Only when technology initiatives focus on teaching and learning (includinng well supported teachers) do the initiatives impact achievement. Reference: Schacter, J. (1995). The impact of educational technology on student achievement. The Milken Exchange on Educational Technology. This entry was posted on May 13, 2012 at 1:16 pm and is filed under Teaching With Technology. You can follow any responses to this entry through the RSS 2.0 feed. You can leave a response, or trackback from your own site. I agree! Computers are very much like a power tool for learning just as a table saw is a power tool for building. In the hands of expert educators and builders with excellent plans great things happen. In the wrong hands resources are wasted and much damage can happen, very quickly. Great teachers AND technology are an awesome combination! If you are using the very worst possible measure of student achievement (test scores) of course you’ll come up with the answer “No.” If you used a relevant and meaningful measure of student achievement, however, you’d come up with a different answer. What? Absolutely wrong! With a computer, if a child has an interest in the topic, s/he can learn anything they want regardless of whether or not a “good teacher” is standing in front of them. 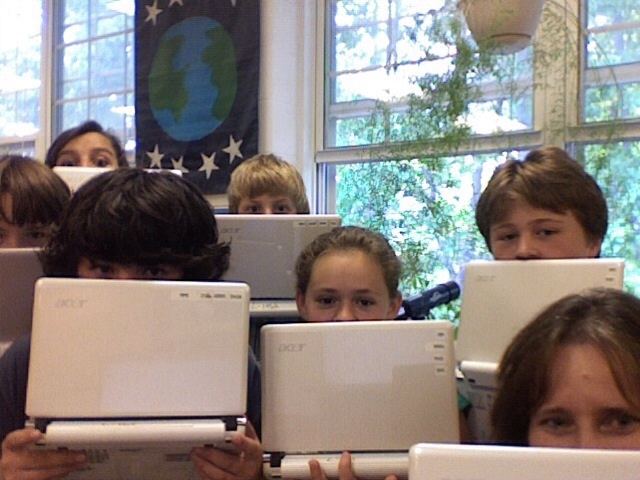 A laptop in a class won’t improve learning. It requires an instructor who already has the required skills and knowledge to operate it. I know skills are learnt. Then a teacher is a powerful tool to teach the skills on use of a laptop. Teachers attitudes on use of technology to enrich their research ability and creativity is therefore a prerequisite for technology to improve learning. I believe you have to change that in your settings. I don’t have any way to change that for you. Sorry.